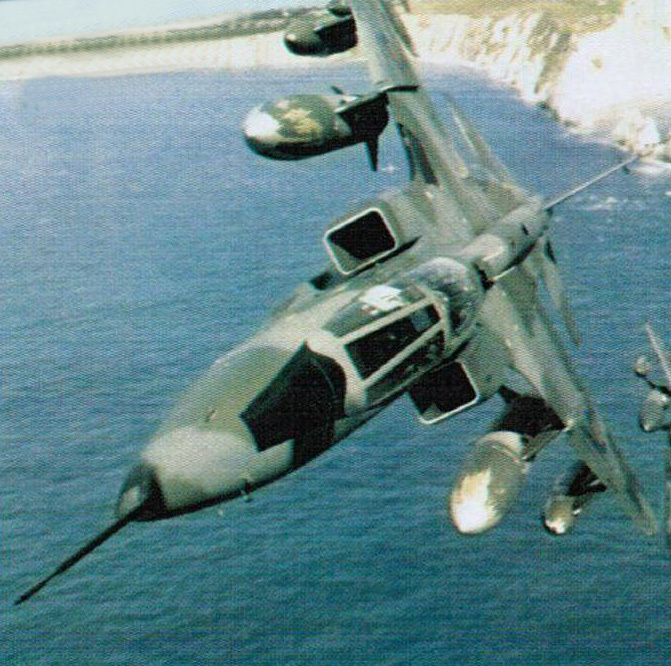 When originally delivered to the RAF, Jaguars were tasked with nuclear strike, reconnaissance and conventional attack. Only the latter role is performed today. 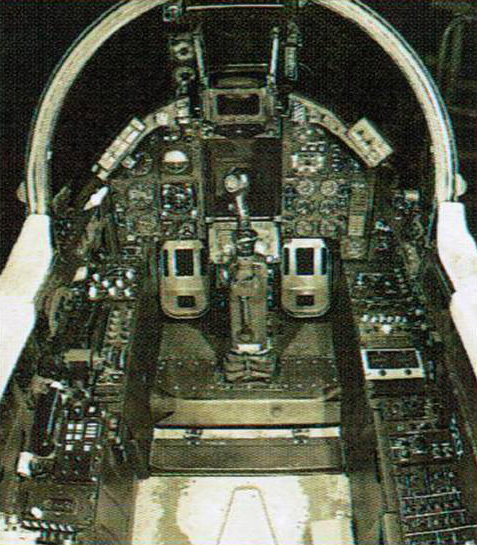 This pilot's eye view of a single-seater's cockpit shows that it is fairly typical of a jet fighter-bomber of the 1970s. Demonstrating its ability to operate from dispersed sites, this Jaguar lifts off from a stretch of highway with a load of cluster bombs. The two-seat conversion trainer version of the GR.Mk 1 features a longer nose with the crew seated in tandem under separate canopies. 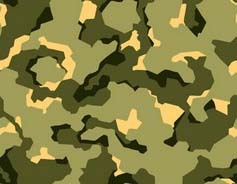 ▶ During the Cold War there were up to 5 RAF "Jag" squadrons in Germany, the theoretical front line in a major conflict. ▶ A Jaguar was once accidentally shot down by an RAF Phantom in Germany. ▶ Jaguars in the Gulf were armed with iron bombs, cluster bombs and rockets. 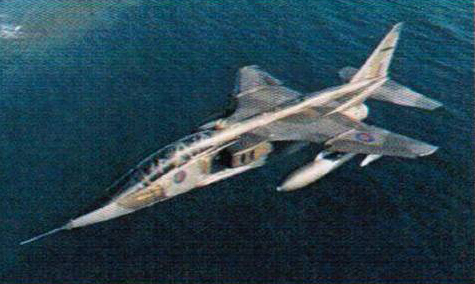 ▶ During Operation Desert Storm, 12 RAF Jaguars flew 618 sorties in January and February 1991. ▶ The RAF Jaguars' home base is RAF Coltishall, home to three squadrons. ▶ An RAF Jaguar once survived a high-speed wire strike at an altitude of just 30 feet. The Bell AH-1 Cobra is the first true armed helicopter, designed from the skids up as a rotorcraft gunship. Twenty-five years after bringing vertical warfare to Vietnam, the Cobra continues to reach out with lethal guns and missiles, halting the enemy in its tracks. Today the Cobra is flown by Marine pilots who use the AH-1's speed and power to fight and win, no matter what the odds. The Cobra gunner sits in the front cockpit. At his disposal is a fearsome array of guns and missiles that can be fired with frightening rapidity. 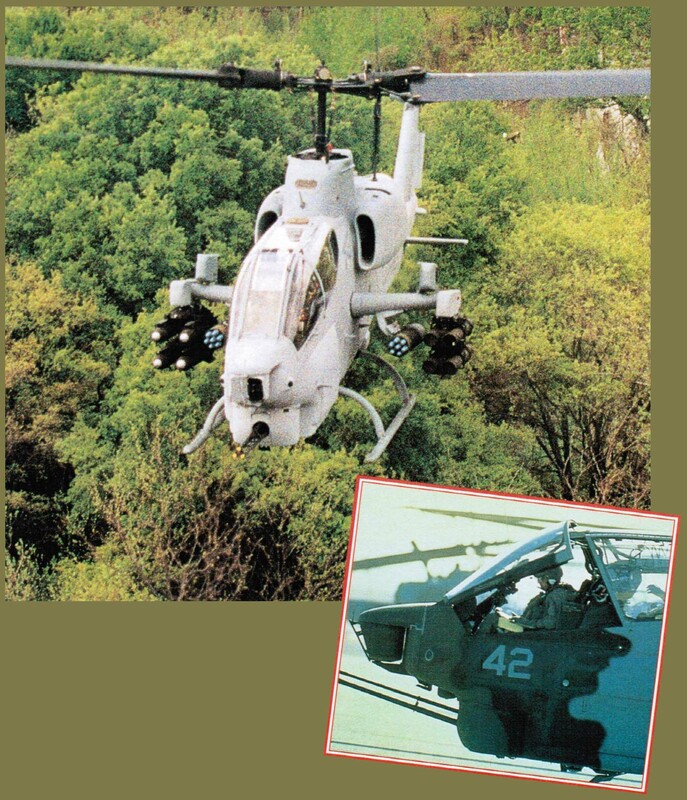 The AH-1 Cobra evolved from the famous Bell UH-1 Huey. 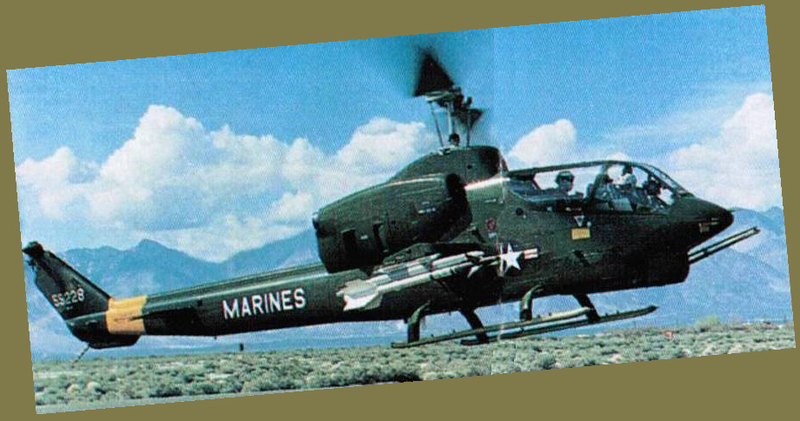 When the AH-1G model arrived in Vietnam, it became the first rotorcraft designed specifically to carry arms to enter combat. With the helicopter's miraculous ability to leap in and out of tight places, and with a deadly powerhouse of weapons hanging under its stub wings, the Cobra is the infantryman's best friend. New, hard-hitting Cobras are at work today. The U.S. Army introduced TOW missiles to fight tanks. The Marines went a step further with the laser-guided Hellfire missile, fired from many miles away to kill a tank with pinpoint accuracy. Today, Marines use the AH-1W "Whiskey Cobra." This warrior in the high-tech battlefield is as formidable in many situations as the Army's newer Apache, which came along years later. The "Whiskey Cobra" excels at amphibious warfare, flying from ship decks or from land. Pilots of this thin, graceful ship praise its nimble flying qualities and its flexibility and fighting prowess. Helicopter killer - the Cobra can carry the Sidewinder missile on its stub pylons to shoot down other helicopters. Spearheading the Marine assault is the AH-1W, sweeping ahead of the ground troops to root out enemy armor and artillery before they can do any damage.